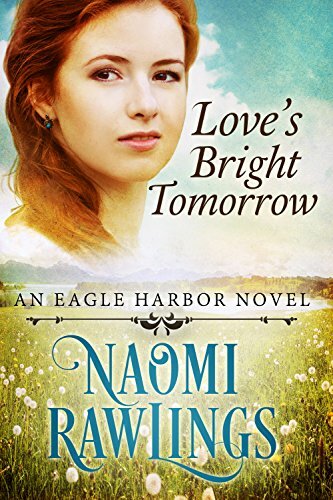 Filled with romance, mystery, and sometimes terrible heartbreak, Love's Bright Tomorrow, kept me turning page after page. I also was reminded of how poorly women and children could be treated during that time period with the history that was scattered within the pages of this book. Naomi Rawlings brings all that to life but gently reminds God is there to protect us, forgive us,and help pick up the broken pieces. I fell in love with Eagle Harbor Michigan after reading about how pretty it was and the peaceful surroundings. Located in the UP of Michigan it sits along the shore of Lake Superior. Naomi describes the rugged shoreline and the high waves coming off Lake Superior perfectly. I putting this on my list to visit someday! At times I worried that maybe I should have read the previous book in this series, but all my questions were eventually answered.